We’re proud to serve Big Wood beer at the Bear’ly Open once again this year! 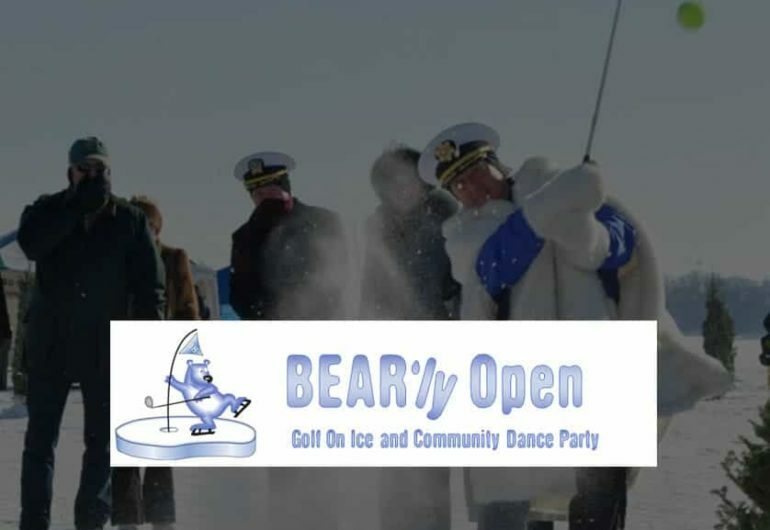 In its 12th year, the Bear’ly Open brings hundreds of local residents to White Bear Lake County Park at Ramsey Beach on the frozen shores of White Bear Lake to enjoy an afternoon of golf on ice. An 18-hole course, complete with real pine trees, a hospitality tent, food and entertainment make it a great way to have fun and raise money for charity. The BEAR’ly Open is coordinated in partnership with White Bear Events to raise funds for the White Bear Area Emergency Food Shelf – where the need has never been greater. Join us as we begin our second decade and “Claw” our way towards our goal of $2,000,000 worth of food purchased!